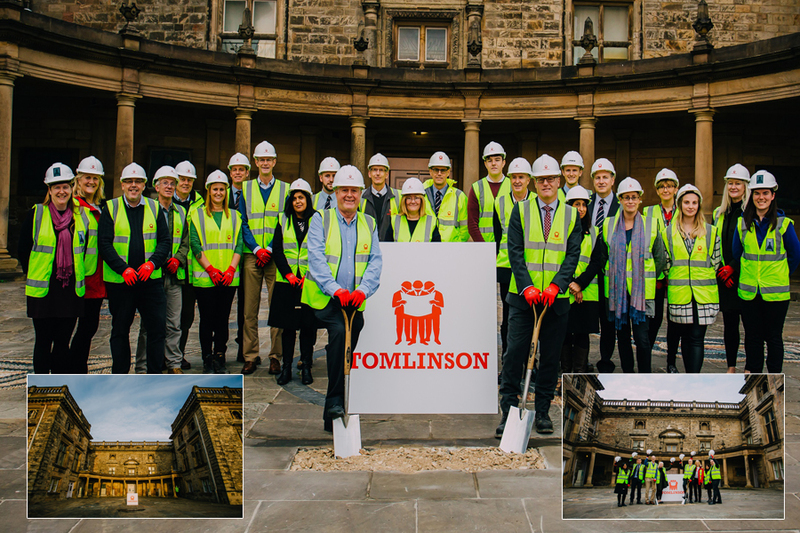 Works have officially begun to transform Nottingham Castle into a world-class heritage destination, as G F Tomlinson breaks ground on the £30m Castle Transformation Project. Thanks to a £13,883,400 Heritage Lottery Fund grant, Nottingham Castle – a beacon of power, protest and rebellion throughout the centuries – will be revitalised upon the project’s completion in 2020, when it is expected to attract more than 400,000 visitors a year, more than double the current figures. The works will convert the historic site into the region’s leading tourist destination, where the diverse heritage of the last 1,000 years will be revealed once again. G F Tomlinson was appointed by project lead Nottingham City Council due to its established history of delivering heritage sector projects across the region. The first stage will see the contractor create a new state-of-the-art visitor centre and a new extension to the Ducal Palace, where brand-new Robin Hood and Rebellion galleries will be created to celebrate Nottingham’s most famous outlaw. Thanks to money raised by National Lottery players, a complete refurbishment of the Ducal Palace will also be delivered, with various galleries being created to showcase the Castle’s array of fine and decorative art collections, enabling visitors to experience the Castle’s rich history in an engaging and interactive way. The Castle grounds will also be remodelled and access to the impressive cave network hidden within the Castle rock will be improved. New employment opportunities have already been created due to the works and G F Tomlinson will bring further employment and training opportunities for local people and students throughout the project, including work experience placements and apprenticeships. Managing Director at G F Tomlinson, Andy Sewards, said: “Nottingham Castle is one of the city’s greatest treasures, with people from all over the world aware of its rich history. We understand the importance of the redevelopment of the Castle and the benefits this will bring to the local economy, so it’s an honour to have been chosen to deliver such important works.